The Leo horoscope 2017 predicts that in general, this year will be a bit slow but this will make it easier for you. Take things in stride. With time feeling like it’s moving at a slower pace, you may also feel like you are able to get more done this year. Do not be in a hurry to achieve more than you can. Use your time wisely. The 2017 astrology for Leos asks you to do your best to focus on advancing your career. After your professional commitments, work on improving your relationships with friends and lovers. Even if you’re as confident and composed as the average Leo zodiac sign, you still might be concerned or curious about what your future holds. Hopefully, reading this 2017 Leo horoscope can make your life a little less confusing in the upcoming years. You are a Leo star sign if you were born between July 23rd to August 22nd. The Lion’s traits can both help and hurt this sign in 2017, so let us look at some of them. You can always pick a Leo man or Leo woman out of the crowd easily by just seeing how determined they are when they are trying to accomplish a goal. They are straightforward people who know what they want and will do whatever they need to in order to get what they want. Leos are very dominating people. The Leo star sign people are usually energetic and optimistic. They make great friends because of their generally positive attitude. Sometimes they can seem arrogant and better than others, but this is only one small flaw in the August birthday people. The Leo 2017 horoscope predictions for love foretells that this year things may seem like things are going slowly in your relationships, but this is for the best. This year, if you are currently in a relationship, then things are about to get more serious in your affairs. It’s only best that this transition comes slowly. Even if you are planning to get pregnant, take your time to think about it. If you are just a Leo dating for fun, then you might decide to move in with your partner or even get engaged! If you are already engaged, then maybe you’ll get married. If you’re married, then you might decide to have a child or move. The Leos in 2017 will deepen their relationship because during this year you will learn to understand yourself and your partner better. The Leo 2017 yearly horoscope forecasts that for most of the year, you will be focusing on your romances. But at the end of the year you’re more likely to party with your friends. Who knows? Maybe your relationship with one of your friends will become deeper and turn into something romantic if you are not currently in a relationship. The 2017 forecast for Leo show that this year will be prosperous for your wallet. New opportunities are likely to come up at work. Don’t be afraid to take them! During this time, you are likely to have a lot of professional projects on your desk. While this may be stressful at times, it will pay off in the long run. The Leos in 2017 should not be cooped up at their desk all day. Make sure that you make time to schmooze with your superiors. Who knows? If you have a good relationship with your boss it may make them more likely to promote you in the future. Basically, just be on your best behavior, and be a little bit of an overachiever if you can. The 2017 Leo horoscope predicts that there is a good chance that the Lions will come into a lot of money this year. Maybe one of your old investments will pay off or you will win a lottery! This is also a good year for investments. The Leo astrology 2017 predictions suggest that your energy levels will rise and fall during the year as well. Exercise and make your body and mind better when you have the energy for it. When you don’t have the energy to do things, don’t push yourself. Your energy will return. Just remember to use it when you have it, or else you may become lazy. Here are a few foods to boost your metabolism. 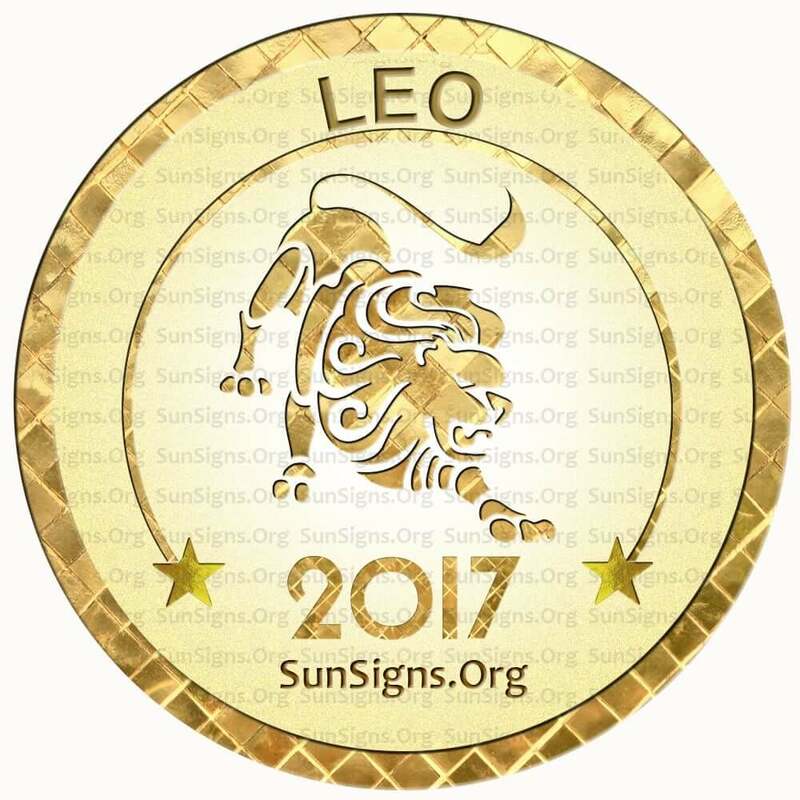 2017 for Leo sun sign will be one with mental clarity. This year your head will be clear. You will easily be able to make logical decisions when it comes to anything that might be important. This can help you at work and in relationships. This year your emotions will also have their ups and downs. Don’t let this play too much into any decisions that you might make. The Leo 2017 horoscopes suggest that even if your emotions get in the way at times, it can help with your romantic and friendly relationships. January 2017 is a month when spiritual enlightenment will be a priority in your life. February 2017 is a great time to detox your life. Do away with everything that is useless. March 2017 is a happy month with a happening Leo compatibility. Career and jobs for the Lions too will be favorable. April 2017 shows that you need to look at the complete picture before making any decision. May 2017 asks you to stop being so stressed out and reduce your workload. Take some time out to relax and enjoy life. June 2017 is a month to improve your knowledge and indulge yourself in adventurous activities. July 2017 shows that the money flow will be good this month. Spiritually the Leo star sign will be at peace. August 2017 is the month of the 2017 Mercury retrograde. Leos should avoid all risky transactions during this time. September 2017 will be a month dedicated to making yourself look fabulous. October 2017 is a month when you are prone to depression due to family issues. Keep cool and everything will just turn out fine. November 2017 could be stressful and hectic as planet Mars will create problems in your life. December 2017 shows the Leos being highly optimistic. Leos in love too will be pretty successful. Overall the yearly Leo horoscope 2017 forecasts predict a year of positive outcomes with excellent future profits. This year will be financially beneficial.